I will try to catch up a bit here in this post. It has been almost a week and lots of things have been going on. It is now Memorial Day evening and I have just returned from the boat, where we have been for the weekend.. and without internet connection! 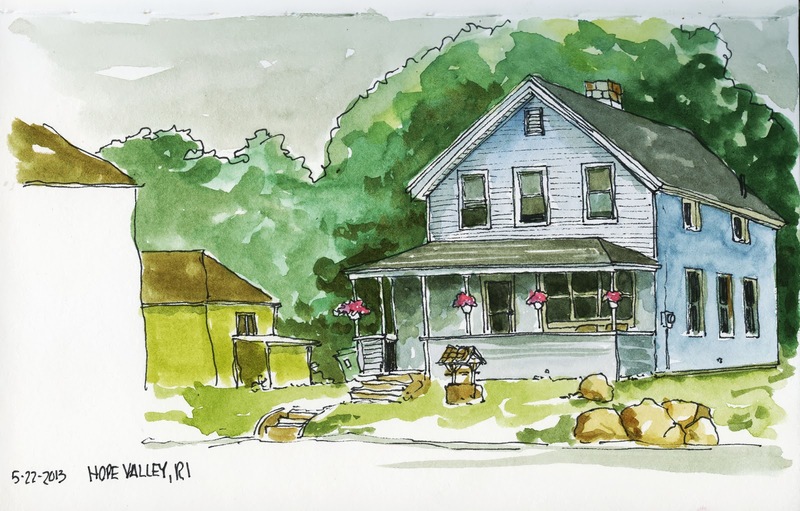 In the past few days (this weekend) I had every intention to spend a sizable amount of time sketching and filling my little 5 X 5 sketchbook. There are about 30 pages left in the book to be filled with my scratches and I had set the goal of filling that book by June 1st - looks real iffy right now. 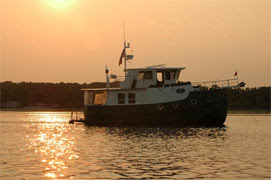 Instead the weekend was filled with boat chores, a video project and rain, lots of rain. Last week I did several experimental drawings that didn't make it here in the blog (they can be found at Flickr- check the icon on the right hand side of this page) partly out of lack of time and partly because I don't think they are so good. The picture above is the house that sits just to the left of my last HopeValley/Hopkington house. 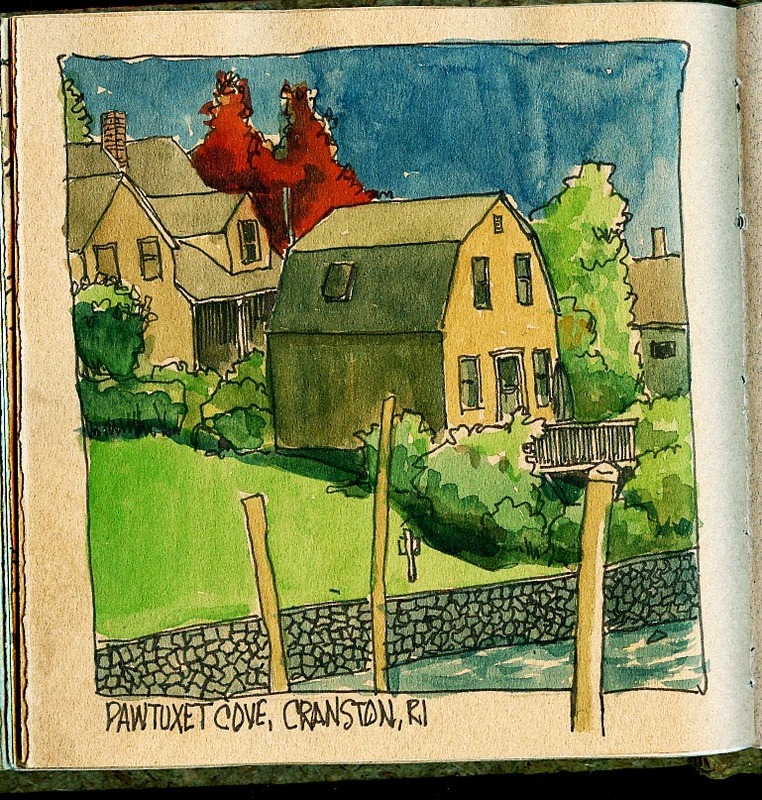 They are mirrored images of each other, although the other house has more ornate architectural detailing, This one is painted on my Stillman & Birn sketchbook and I really like the paper in that book. It is the Beta Series - nice paper. 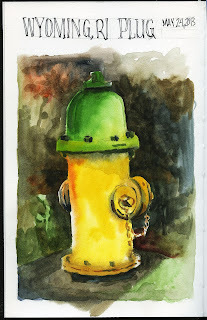 Below is a pix of fire hydrant that was one of those experiments. No ink lines. 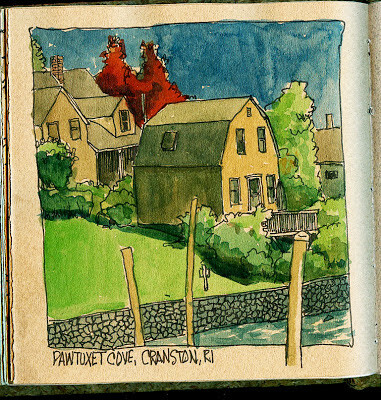 Just color on paper, also the Stillman & Birn book. I was inspired by an article by Brenda Swenson on her blog about negative painting..I didn't do it too successfully but will continue to try as it is a technique I would like to use. I am still toying with the idea of creating a sketchbook that is just filled with all the utility thing you might find in an urban environment, such as fire hydrants, and parking meters and such.